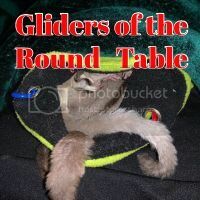 Does Glider Central not remember me as I know I am a very old member here on GC? I log in..... and I am accepted. However as soon as I click a new page... I am no longer logged into Glider Central. Can someone help me? I log in as yipyip.... then my password is accepted. My member name is Judie. Do you have cookies enabled on your browser? It could be something related to that. Just guessing here. What browser are you using? Have your tired others? Meaning if you used Internet Explorer (IE), did you try Firefox (FF) or Chrome, or any others? Phil has given you all of the possibilities that it could be. I checked back stage and it does show that you logged on today. I would try the ideas that Phil gave you, and possibly dump your cookies and clear your Cache also. Then restart your computer and try again. Thank you for the help GC people. Dumped the cookies and restart. Worked like a charm.